Working in collaboration with Mulderblauw architects, we designed a unique, LEED Platinum certified hotel in Amsterdam’s rapidly developing Amstelkwartier neighbourhood. 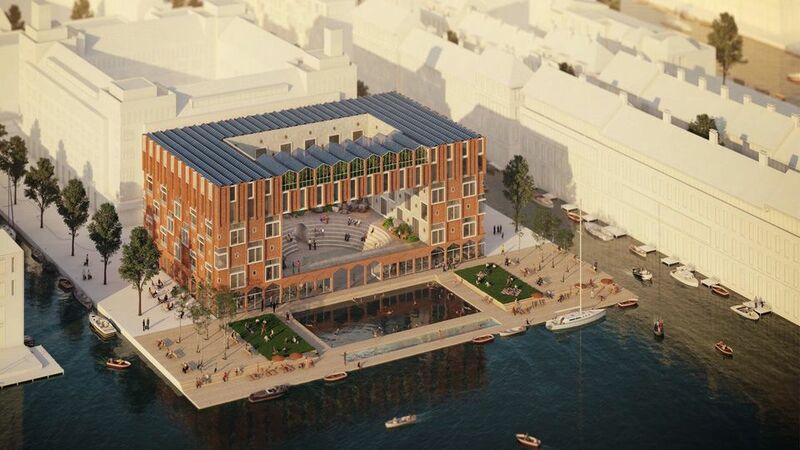 QO Amsterdam is building itself a special meeting place that will bring people – local and from the farthest corners of the world – into contact with one another in a way that encourages the greatest respect for one another and for the environment. The innovative design closes the cycles relating to the use of energy, water, waste and materials to the greatest degree possible. QO revolves around authenticity, local tips and good energy. Good energy means taking care of the world around us. The philosophy of the 300-room hotel is reflected in its revolutionary design, which closes four cycles. We achieved energy savings of up to 65% with an intelligent façade that responds to the seasons, the weather conditions and the presence or absence of guests. The façade opens and closes by room, its responsiveness based on each room’s temperature and that of the building as a whole. The reliance on green energy extends to the hotel’s kitchen via the large rooftop greenhouse. This greenhouse utilises the most advanced technologies available in concert with the principles of organic farming to grow fruit and vegetables and breed fish. For example, we employ an aquaponics system – an integrated, continuously recirculating ecosystem in which plants and fish are grown together. Chemical fertilisers become redundant due to the presence of natural bacteria, which convert waste into nutrients. Sustainability also represents the authentic connection between the hotel, the neighborhood, the city and the international traveler. The combination of these measures and considerations – the use of local materials, the local production of food, the relationship with the Dutch climate and the social ties with the neighbourhood and city – ensures that the QO will not become a generic, interchangeable stop for international travellers, but rather a place where local and international meet.